Nick Santonastasso is a medical miracle. Not only is he one of four people alive with the rare genetic condition, Hanhart Syndrome, the inspirational keynote speaker is an internationally known bodybuilder and fitness model – despite missing both his legs and one arm since birth. The high-energy youth shares his amazing story, showing people that anyone can thrive if they have the determination and willpower to go after what they want. Nick tried out various sports before finding a passion for wrestling. As a varsity wrestler in his high school, he may not have been the district champion, but he did pack gyms and earn the respect of thousands of total strangers. At the same time, he rose to “Vine” stardom, with a series of zombie prank videos. 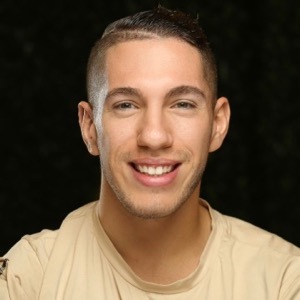 His social media stardom has since outlived Vine: Santonastasso has shared his life and thoughts on acceptance, positivity, and pushing your limits with millions, gaining the admiration of A-List Celebrities, Dwayne “The Rock” Johnson, Tony Robbins, and Gary Vaynerchuk. He also partnered with Fox International to promote The Walking Dead via an epic prank on one of the show’s most popular actors, Norman Reedus. Recently, Nick’s accomplishments in the gym and the area of competitive bodybuilding have been featured in Men’s Health, The Independent, and CNN’s Great Big Story. However, lifting weights is just the surface of Nick’s mission. A powerful keynote speaker, Nick’s passion for helping others shine through as he takes his message of gratitude, tolerance, and overcoming difficulties to schools, universities, and Fortune 500’s. When Nick was conceived, he had a 30% chance of surviving birth. He was 1 of 12 people in the world at the time who was born with Hanhart Syndrom, a rare genetic disorder. Nick was self-loathing and thought about ending his life. Fortunately, he was able to find his “WHY” through wrestling in high school. He had to AMPUTATE a part of his arm in order to wrestle. Though Nick was not the best wrestler, he would pack tournaments with spectators. People would approach him with tears of joy and excitement and say how much he inspired them, an experience that became a turning point for Nick and his life. Nick realized he was capable of achieving anything he set his sights on. He has continued to aim higher and higher, knowing that every day he lives is considered a medical miracle. He has made cameos on TV shows like “The Walking Dead” and has become a social media sensation gaining more than 1 million followers on “Vine” in less than a year. Most recently Nick decided to become a competitive bodybuilder, showing he can achieve physical greatness. 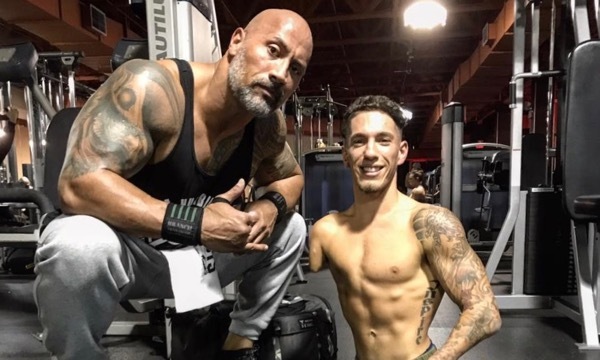 In 2017, he won the 3rd place in the “men’s physique novice” category, in his first competition at the “Iron Bay Classic” where he competed against abled-bodied people. Now, Nick is sharing his experience with people all over the world as a keynote speaker at schools, universities, nonprofits as well as Fortune 500 companies. He is using his challenges to inspire others to push beyond their suffering and live a life that has NO LIMITS. Nick has already helped to inspire GIANTS in today’s world, such as Dwayne “The Rock” Johnson, Tony Robbins, and Gary Vaynerchuk. Escucha de primera mano que opinan las personas que ya vieron a Nick en vivo en México, en agosto del 2018.